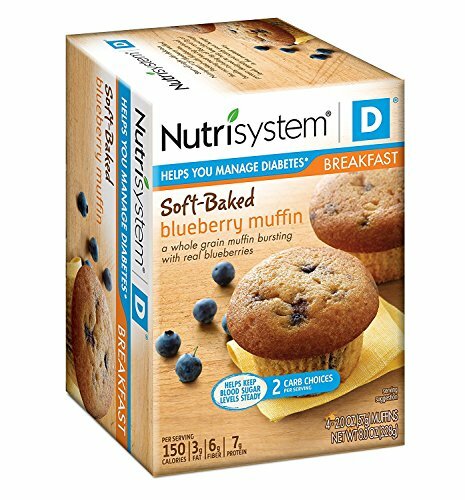 Start off right with delicious Nutrisystem® D®Blueberry Muffins! Packed with blueberries, this morning treat has big nutritional benefits - including 6g of fiber and 7g of protein designed to help keep blood sugar levels steady and satisfy your hunger in the sweetest way. Packed with blueberries, this morning treat has big nutritional benefits - including 6g of fiber and 7g of protein. Start off right with delicious Nutrisystem® D®Blueberry Muffins! If you have any questions about this product by Nutrisystem, contact us by completing and submitting the form below. If you are looking for a specif part number, please include it with your message.